We found that our web hosting services provider for the past 15 years – since February 1997 – could no longer meet the demands and expectations of effectively supporting this new business model paradigm. as far back as April 2010 through the beginning of February 2012, still could not give us any information about when they might also upgrade their MySQL service from v4 to v5 seriously compromising our plans for building market share using all of the tools and functionalities of online marketing. What? Hold the phone! Time to consider other options, other web hosting services. This is what happened next in our efforts to get dependable, supportive, responsive web hosting services to support our business model and help us with our plans to build market share. After considerable research, we chose Network Solutions for our web hosting services provider because they met all of our requirements. Then we looked at the options offered by many different web hosting services providers in order to evaluate and discover a best hosting solution that would meet our needs, our budget and our goal of having all of the web/online marketing tools necessary to support our business model in one service place. WebHostingGuard.com Announces Best Web Hosting Services for the Year 2013 … – SBWire (press release) Ipage Tops the List. WebHostingGuard.com also recently announced what to look for in the best web hosting service in the year 2013 and also their top three recommendations. And then there are the absolutely bare-bones basic cheap solutions such as is shown in this YouTube Video “How To Upload Your Website with a Free Domain and Hosting Service“. May be interesting option for some people but does not meet our needs. In the end, we decided on Network Solutions: They provided all of the web hosting services that we needed plus they were the original registration service for our primary – and quite well established since 1997 – original domain name www.missi.com which is the abbreviation, or acronym, for our parent business “Management Information Systems Solutions and Initiatives” (in business since 09/1991) from which stems our current business division “The Business Builder’s Help Desk™”. We are not in the web hosting services business per se; we do business development – ie: we help clients grow the value of their business (for example through finding ways to help them increase their own market share and by helping them to solve business marketing, operations and supply-chain issues) – hence we use web hosting services quite extensively for both our own needs that includes providing “Business Questions Help Desk” functionality and for guiding our clients in their choices in using web tools for online and inbound marketing and general website product and services promotion. What we really like about using Network Solutions for all of our web hosting services is that not only have they consistently been very responsive to all of our request for help – not that we have had many occasions to call upon them but whenever we have, it has always been very courteous and helpful. As a one stop shop for all web hosting services from domain registration to web hosting itself and including supporting services such as both MS Exchange eMail with BlackBerry Enterprise Server support and multiple POP email accounts gives any business a solidly reliable set of tools and services upon which to begin building a web – online marketing – business. With this scope of features and services, one simply has to start with picking a suitable domain name and using Network Solutions web services to complete the domain registration. Then, using the excellent Account Management web based tools, you assign that domain name to the desired folder that will become the root folder for your web site. If you have registered any domain names using GoDaddy, for example, you can redirect where those domains point from within your GoDaddy Account Management Console for that domain including setting the Network Solutions Names Server as the appropriate DNS server. In the domain registration of various names to support our business model, included is the abbreviation tbbhd.co as an easy short form URL leading to our The Business Builder’s Help Desk (TBBHD) web site. Having direct access to being able to edit the related DNS records via Network Solutions Account Management Hosting Tools makes it very easy to direct any domain registration name to any particular directory/folder within the primary web site framework. We are using our web hosting services options to support our business model and help to build market share, revenue, profit and equity growth for our business. Using each one of the different components of web hosting services features provided by Network Solutions enables us to build out our web site to encapsulate the different elements of our business model. 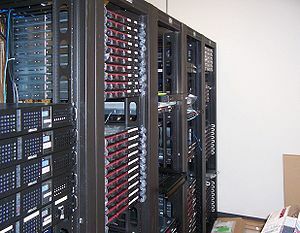 In particular, the web services of Network Solutions provide to distinct avenues for helping with the objective of building market share: First we have the basic web site components under the business name heading of The Business Builder’s Help Desk™ where we detail the services offered by our business and reference clients that we have helped and show pictures of projects we managed: A considerable portfolio of projects and clients is included here by way of examples of scope of experience that we offer. Then we have the SSL services supporting the actual Business Help Desk services as represented in the “Help Desk” part of our business name. And we have the WordPress support which handles all of our Blog features including this post and including feature available only to signed in members. To compliment our web services as detailed above, we also have a Facebook Business Page, a Facebook Fan Reviews page and twitter accounts all of which together provide a structural set of tools in support of our business model and providing a foundation upon which to build market share. Network Solutions web hosting services scope also includes additional features useful to beginning users of web services to help them in web site creation as well as help in web site promotion and effectively provide support for market share development supporting the client’s business model development by using Network Solutions’ web development and online marketing tools. So with all of this in mind, in February of 2012, after 15 years of using our original web hosting services provider, we bailed and moved everything over to Network Solutions ~ lock, stock and barrel, so to speak. We rebuilt our business model upon the framework of features and services offered by Network Solutions including the web hosting, the WordPress hosting and our MS Exchange and BlackBerry eMail hosting services. So far, so good. Now we have all of these new web services in place and have added an assortment of WordPress Plugins to support our business model, we can now focus attention and effort upon the original reason for changing service providers in the first place; that of building market share. Previous Previous post: A Growing Business Is A Smarter Business: It Seeks Answers Hidden In Data!